Dig-The Dog Person’s Dating App is headed to Miami! On April 11th, Dig will be holding a dog-friendly event to celebrate the app’s citywide launch at WeWork 350 Lincoln. Entry and snacks for both you and your pup are free when you download or share the Dig App. Booths at the event include Pet Healerology, a holistic approach to pet wellness and healing, and Teef!, the cure to your dog dental care woes. Stories & Tails, a wonderful pet photographer, will also be at the launch to take professional pictures of you and your pup for your Dig profile. Here are 9 reasons we are extremely excited to spend time in the Magic City. Miami is known for its beautiful beaches. Pups will be pleased to learn they can soak up the sun and enjoy the surf at various Miami shorelines. With a dog friendly atmosphere, beautiful sights, and no entrance fee Hobie Island Beach Park is a perfect spot to take Spot. Bark Beach at North Shore Open Space Park is another place for puppers to explore. Amenities at the park include running trails, benches, fenced in dog runs, and water fountains. Take your furry friend to Haulover Beach Park, where they can roam off leash and frolic in the sand from 8am to 3pm. Dogs (and their owners) love walking along South Pointe Park’s idyllic seaside pathways. While you may assume members of the 305 area code would prefer a Pitbull (sorry bad joke), according to the American Kennel Club, German Shepherds are Miami's most popular dog breed. “The German Shepherd Dog has been a long standing favorite in Miami,” explained Gina DiNardo, executive secretary of the AKC. The breeds' popularity seemingly stems from their unwavering loyalty, intelligence, and courage. Also their adorable ears and sweet personalities probably don’t hurt. Other popular breeds in the Miami area include French Bulldogs, Labrador Retrievers, Golden Retrievers, and Rottweilers. The Magic City is truly a magical place for pups. Reward Expert reports Miami is the third most dog friendly vacation spot in America, with the most vet clinics and pet stores per capita than any other city. According to WalletHub, Miami ranks as the 29th most pet-friendly US city as of 2018. Miami has no shortage of dog loving homes. In 2016, Miami Downtown Development Agency found 335,763 households in Miami-Dade County have a dog. D.O.G. Hotels, which will have a booth at Dig’s launch, exemplifies Miami’s love of dogs. The luxurious dog hotel, located at 28 NE 26th ST, offers daycare and overnight services. Your pup is sure to have a wonderful, fun filled stay. One of the reasons so many Miami residents are dog owners may be due to the fact there are a lot of accessible places to adopt. Miami Alive is committed to saving animals and finding their furever home. This no kill shelter offers both onsite adoptions and off-site adoptions held at local events. Paw 4 You Rescue rehabilitates sick, injured, and/or homeless dogs. You can adopt from this rescue every 1st and 3rd Saturday of the month. Humane Society Miami allows devoted, responsible people to adopt fur babies at their Soffer and Fine Adoption Center in North Miami Beach. Jamie’s Rescue, a non-profit, no-kill dog rescue, places doggos in loving homes. If you can’t fully commit to owning a pup, Miami Animal Rescues provides opportunities for fostering. In order to foster, you must be available to take care of a pooch for at least one week. The rescue will supply foster pup parents will food, toys, and bedding. At Dig’s Miami launch, you will be able to meet adoptable dogs from The Saving Sage Animal Rescue Foundationand Miami Animal Rescue. 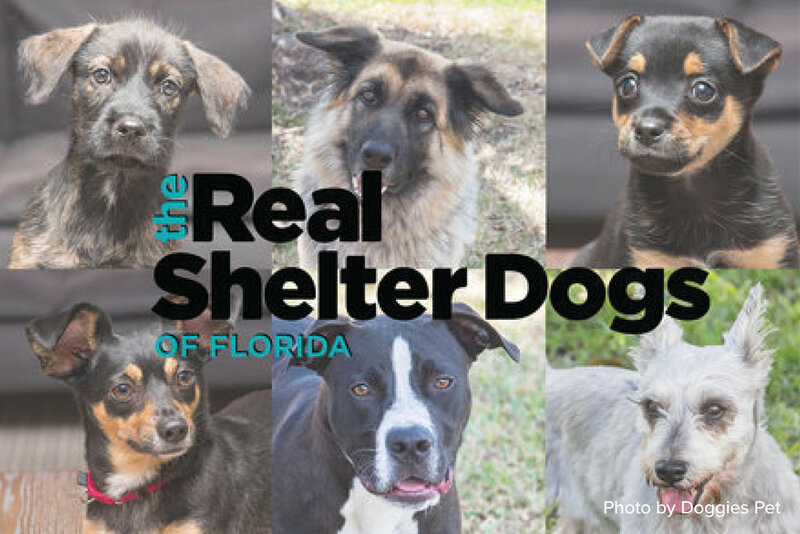 The team from Miami Beach Animal Advocates, an organization in which Miami Beach residents discuss ways to improve the quality of life of all animals, whether homeless or owned, will also be there to exchange ideas on how to help dogs in need. We are incredibly impressed by Miami’s multitude of amazing Social Media influencers of both the human and canine variety. Danie Gomez-Ortigoza is a feminist, fashion, and beauty influencer. Her captivating posts and photographs can be found on her acclaimed blog, Journey of a Braid. Annie Vazquez, a journalist behind the award winning blog, The Fashion Poet, covers topics varying from travel, fashion, healthy eating, and body positivity. Her work has been published in Vogue and Marie Claire. Ria Michelle, a model and content creator, has been described as “the authority on Miami fashion” by GUESS. She documents her outfits, fashion reviews, and travels on her popular blog, https://riamichelle.com. Kiko the Frenchie, an adorable French Bulldog, shares an Instagram account with her sisters Maaya and Suki. All three pups have some serious style. Miami certainly loves French Bulldogs who have a blog! Mallow the Frenchie’s Instagram account has over 55,000 followers and has been featured in Forbes Magazine. Beloved by many, Rosie the Mini Golden Doodle, is a sweet, darling girl living her best life on the Miami shore. Miami Food Pug is run by two food bloggers, Geoffrey Anderson and Diana Rubin. The blog is dedicated to reviewing local restaurants and you guessed it, pugs. Miami is a fashion capital. There are stores and boutiques where you can find amazing, one-of-a-kind pieces for you and more importantly, your furry friend. Pupaholic offers affordable, personalized attire for dogs, big and small. Miami Pooch has fun, functional attire, including dog dresses, sweaters, polos, shirts, tees, jumpsuits, and jewelry. D’Luxe Dog is a boutique for the fancier pup. All items are handmade and adorned with semi-precious stones. Your fashionable fluff-ball can choose outfits from the spring inspired Garden Party Collection, the beach-y Mediterranean Voyage Collection, or the elegant Rendezvous in Paris Collection. Miami has many dog approved, drool worthy restaurants and bakeries. The restaurants LoKal, Kush, and The Spillover have a menu curated by the owners’ French bulldogs. At these establishments, rebellious, bad to the bone puppers can enjoy a non-alcoholic beer specifically created for dogs made in Tampa. Bubba Rose Biscuit Co. has a selection of GMO-free treats that will get tails waggin’. The bakery specializes in personalized cakes and cookies. Ali’s Sweet Treats, a vegan bakery, offers delicious treats for both dogs and their owners. Puppies can choose from mini-pupcakes or all natural peanut butter cookies. Delicious, refreshing ice pops from Cielito Artisan Pops made for both pups and pup parents will be avaible to try at Dig’s upcoming launch. Miami is a bright, boisterous city boasting fun daytime activities and an impressive nightlife. 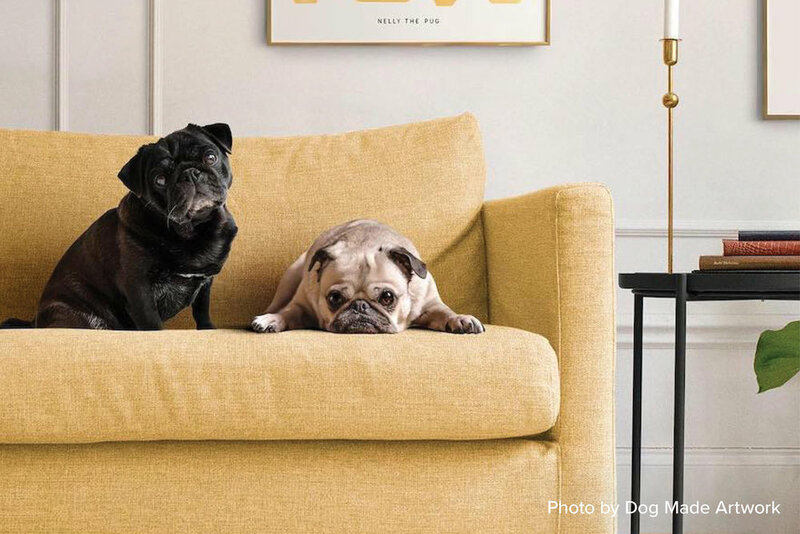 Various events in the city have pups in mind, so you won’t have to leave your best bud at home while you’re off gallivanting. On the last Sunday of every month, the Furry Sunday Market, an event bringing awareness to Paws 2 Care Coalition, spans NW 24th Street. The market, showcasing numerous vendors and booths, welcomes furry friends of all sizes and breeds. Bo's Dog & Pet Festival, located at Coconut Grove Women's Club, will be held from April 27th to 28th. This unforgettable, free event will have food, drinks, training demos, arts & crafts, and costume contests. Well-behaved dogs (and well-behaved people) are encouraged to come. "Yappy Hour," sponsored by The DOG BAR, is held every 3rd Thursday of the month. "Yappy Hour" has demonstrations from K-9 specialists and plenty of free treats. The event is located on Lincoln Road. The city holds an annual Run With Your Dog...And The Whole Family! 5k. Run (or walk) with your furry friend and then grab some much-needed grub from the event’s many vendors. This December, you and your furry pal are invited to a dog meet up at Gables Columbus Center. Refreshments for people and pups will be provided. Arguably, the most exciting dog-themed event in Miami is the annual Canine Film Festival. The Canine Film Festival festival, created by Laly Albalate, owner of Doggie Bag Café, donates 50% of its proceeds to animal charities. This dog-friendly event, held at Cinepolis Movie Theaters in Coconut Grove, includes film screenings, silent auctions, an award ceremony, and plenty of pupcorn to share. A preview for the 2019 Canine Film Festival will take place on July 14th and 15th.